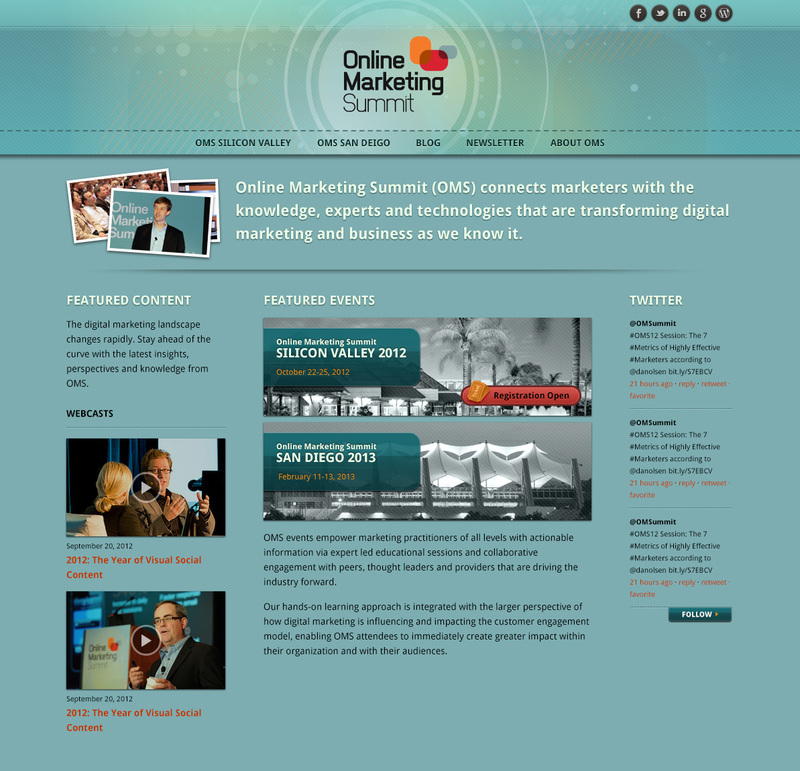 Event formerly known as Online Marketing Summit. Homepage awarded the APEX 2013 Award. 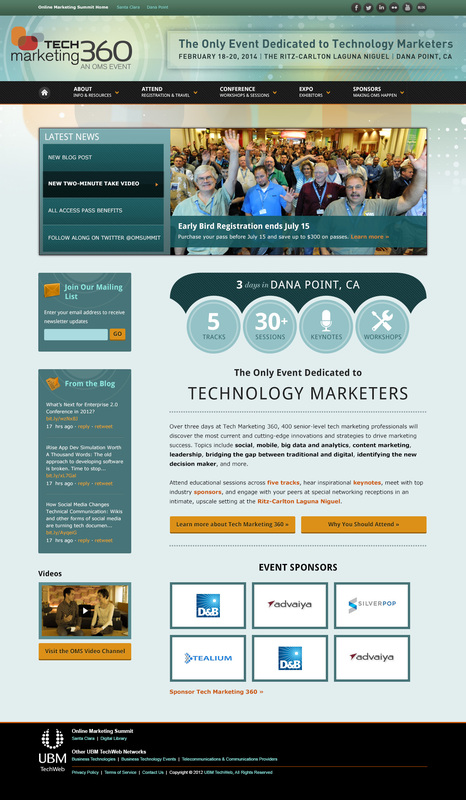 This event website underwent a couple redesigns in addition to a name change to realign itself with different markets. 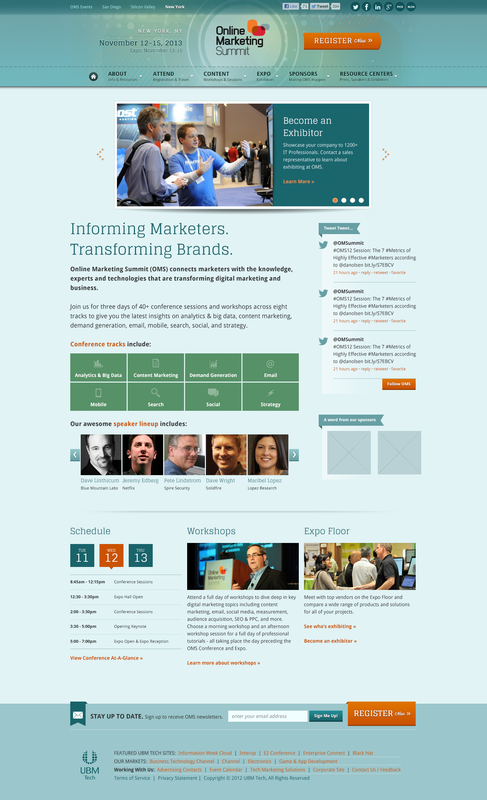 Based on new print-branding, I redesigned the website to match and further developed the look-and-feel. Included the main event website (two versions), a blog and a portal page.